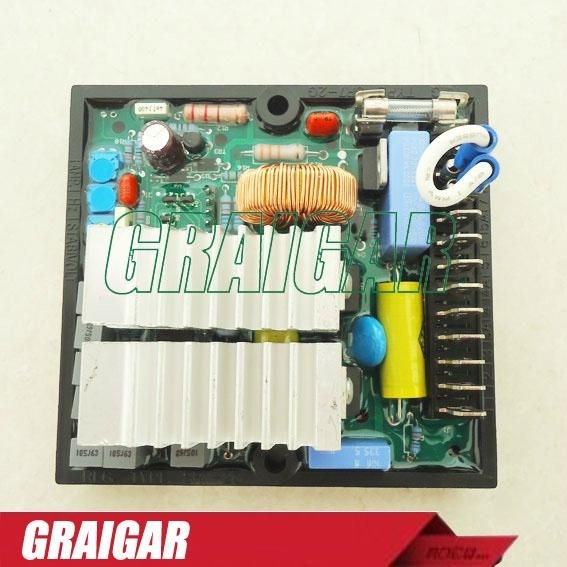 The SR-7 type voltage regulator is an advanced design electronic 5 Amp regulator that ensures excellent performance of the alternators while they are running and during starting. 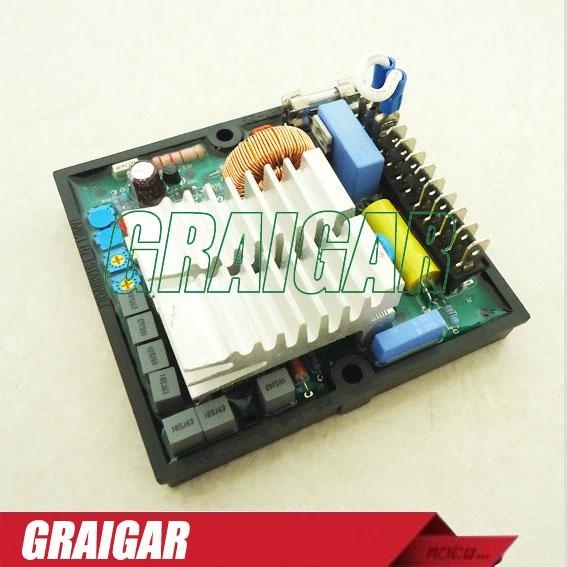 The regulator is equipped with a complete protection system against operation conditions that could be dangerous for the machine. 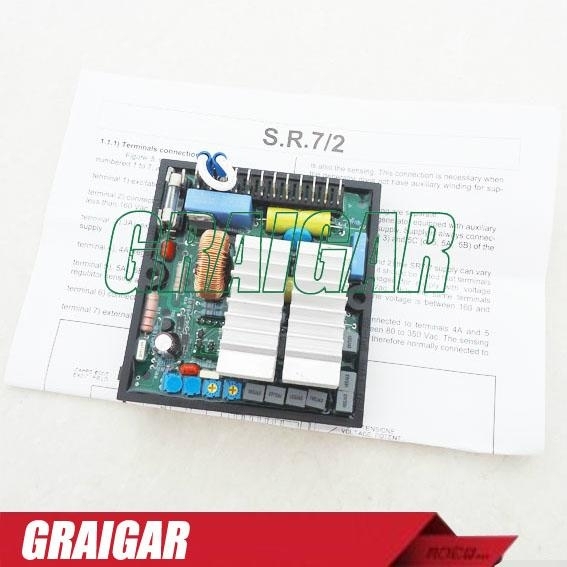 The SR-7 regulator is suitable for being used with all Mecc Alte alternators and is standard supply for power outputs below 85 KVA, both three-phase and single phase. Protections: The UVR6 regulator is equipped with two protec-tion systems, and when they intervene the following. a) Delayed protection for overloads (yellow LED).b) Low speed protection (red LED). 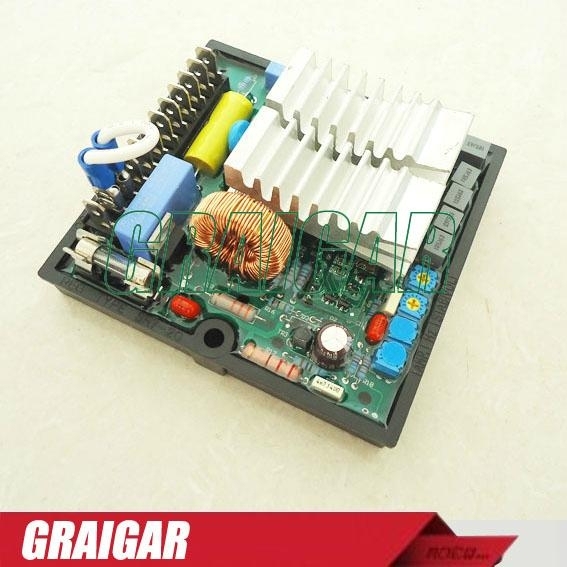 Self-excitation: The regulator is equipped with a “starter” device that utilises the residual voltage of the machine for supply and excitation adjustment. 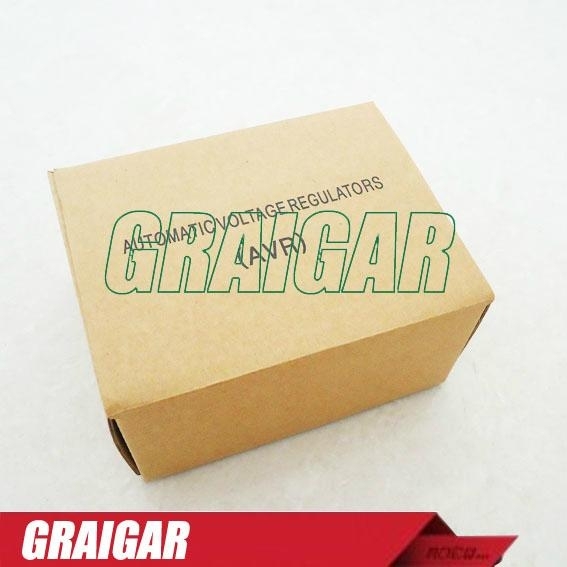 Usage field: The UVR6 can be used with all voltages from 80 to 480 Vac at 50 Hz.